When we think of the power output of an engine we normally consider it as a single unit - this engine develops this much torque and this much power, while running an air/fuel ratio of 'X' and a full-load ignition timing of 'Y'. Implicit in this approach is that each of the single-cylinder engines that make up the total engine design will develop best power when running this same air/fuel ratio and ignition timing. It's also assumed that each cylinder will have the same breathing capacity, the same compression, and so on. And of course, these assumptions are simply not correct. 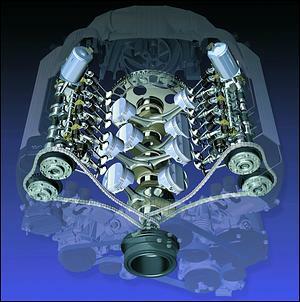 Whether by design (eg an engine that uses intake and exhaust runners that aren't all the same length), through build quality problems (eg a cylinder with higher compression than the others) or through wear (eg an injector slightly blocked) each cylinder in an engine will have significantly different properties to the others. And, since the tuning needs to be either averaged over all the cylinders (eg with the air/fuel ratio) or set at the lowest common denominator (eg the knock-limited ignition timing), the engine invariably develops less than its potential. 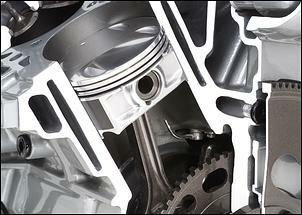 So what about optimizing the tune of an engine, cylinder by cylinder? It's not an approach that is feasible in mass production, but just as in years past 'blueprinting' an engine yielded a power gain (and blueprinting literally means just returning the engine to precise factory specs - ie, taking out the build sloppiness), so a well-built engine can have a power gain made by tuning it cylinder by cylinder. These days, with individual air/fuel ratio and ignition timing tunes available through programmable management (and also available in some very sophisticated factory management systems, eg those running cylinder-specific knock sensing), it's also no longer in the realm of fantasy. So what gains are possible? Obviously, the greater the cylinder-to-cylinder variation that already exists, the more than can be gained from optimising each cylinder. But assuming that a well-built, well-designed engine is the starting point, what then? In a 1994 SAE engineering paper, General Motors engineer Andrew L. Randolph studied the variation in cylinder-to-cylinder functioning on a number of engines. Any variation in breathing between cylinders has significant implications for causing a cylinder-to-cylinder power imbalance. Randolph used in-cylinder pressure measurement to quantify the mass of air being breathed. (These measurements were made with the engine being driven by an external motor and measuring peak pressure during the compression stroke.) He found that this pressure measurement provided information that could significantly vary from the sort of data gained on a flowbench. A four-cylinder engine was tested in this way. 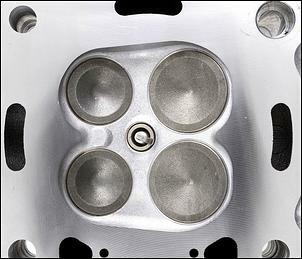 The engine used an intake manifold where Cylinders 1 and 4 had the same length intake runners, and Cylinders 2 and 3 were the same length, but these were shorter than 1 and 4. There was a measured dynamic compression pressure difference between the cylinders at all engine speeds. Specifically, at around 3000 rpm the short intake runner cylinders had more airflow (which would cause them to run leaner in a multi-point EFI engine), while the two different lengths of intake caused resonant tuning peaks to occur at different rpm - for Cylinders 2 and 3 it occurred at 4000 rpm, while for Cylinders 1 and 4 it was at 3600 rpm. While the above engine had an asymmetric intake manifold (which is obviously not ideal), in some cases even better intake manifold (and/or airbox) design won't fix the imbalance - for example in odd-firing engines or engines with asymmetric combustion chambers and ports. In these cases, equalizing the flow of breathed air can be carried out by optimizing valve events to suit the individual cylinder characteristics. 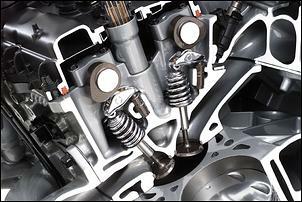 The camshaft event that is likely to be best for equalizing cylinder flows is the timing of the Intake Valve Closing. Cylinder to cylinder air/fuel ratio imbalance is likely to occur because of a variation in flows (covered above) or the use of non-matched injectors. Looking at the data in more detail, it was possible to work out how much each cylinder was losing in power due to its leaner or richer mixtures. This analysis indicated that Cylinder 5 (an AFR of 13.9:1) was down in power by 2.1 per cent, while Cylinder 2 (AFR of 11.1:1) was down by 1.1 per cent. The overall average power loss through the cylinder-to-cylinder AFR variation was 0.7 per cent. 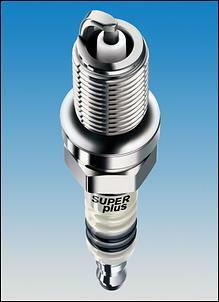 However, Randolph suggests that the 0.7 per cent power loss is extremely conservative because it doesn't take into account the flow-on effects, eg that the ignition timing that will be able to be used will be in part be dictated by the leanest cylinder, because detonation is more likely with that cylinder's higher combustion temperatures. The variation that occurs between cylinders in their burn rates and in-cylinder flows can be significant. 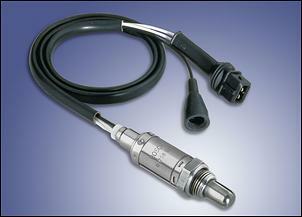 This is especially the case because these factors will affect the minimum ignition timing advance for best torque. 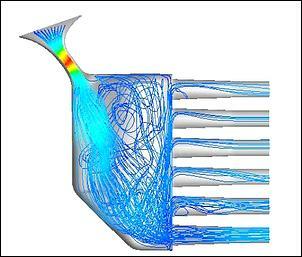 The factors causing a variation in burn rate and in-cylinder flows can be caused by variations in combustion chamber and intake port shapes, and even the indexing of the spark plug (ie the direction that the ground electrode faces). Testing was carried out on a V8 engine where it was found that there was a substantial difference in the burn rates of Cylinders 2 and 5. In order to balance the burn rates, the ignition timing was set at 26 degrees BTDC for one cylinder and 33 degrees for the other. Despite this major difference in ignition timing, the crank angle at which half of the charge had been burnt occurred at 8 degrees ATDC for both cylinders! Three different ignition timings were then employed across the eight cylinders - 27, 30 and 33 degrees, with the selected cylinder-specific timing the one that gave best power from that cylinder. (As a whole, the engine developed a best power of 749hp with a global advance of 30 degrees.) Using this cylinder-to-cylinder 6 degree timing variation boosted peak power to 756.5hp - a gain of 1 per cent. Randolph suggests that cylinder-specific ignition timing is a "powerful tool for compensating for imbalance because all of the sources of the imbalance are essentially manifested as changes in the phasing and intensity of the combustion process". In addition to the selected ignition timing and air/fuel ratio and inherent design facts such as flow imbalances, burn rates and compression ratio, the occurrence of knock is highly dependent on cylinder cooling. Normally, the knock limit of the poorest performing cylinder dictates the engine's overall ignition timing. Randolph performed some testing on a V6 engine. To reach the same level of knock intensity in each of the cylinders, the variation in ignition timing amounted to 8 degrees. That is, in the test engine Cylinder 4 could tolerate only 4 degrees of advance while Cylinder 1 could tolerate 12 degrees! In this engine an increase in peak torque of about 5 per cent was possible if each cylinder was optimised with greatest ignition advance prior to the onset of knock. However, another test engine - this time a V8 - had only a 2-3 degree spread across all cylinders. Assuming that the engine is well assembled and cylinder-to-cylinder variations are minimised in all obvious design areas, the potential power gain from individual cylinder optimisation is limited. However, in race applications - where every extra horsepower is a competitive advantage - such a technique has obvious benefits. Intake Valve Closing - compensates for imbalance in dynamic airflow, compression ratio, cam profile accuracy, cylinder leakage. Ignition Timing - compensates for imbalance in burn rates which are due to imbalances in air/fuel ratios, in-cylinder flows, in-cylinder turbulence, in-cylinder dilution, in-cylinder trapped combustible mass, sparkplug orientation/performance, effective compression ratio, combustion chamber shape. Compression Ratio - compensates for imbalance in cooling, burn rate and end-gas location. "By following these three steps, peak power output can be increased, fuel efficiency improved, and engine life extended," he says.